This page changes frequently. If you've been here recently, hit "reload" or "refresh" on your browser now. We've got some hardware to blow out - road, track, whatever. Come on in and rummage around. Everything is absolutely brand new unless specifically noted otherwise. All sales are final. The prices are for items in-stock only and limited in quantity. When they're gone, they're gone. Listed in meticulously random order, here goes. . .
SHIMANO DURA-ACE PEDALS - MODEL PD-7900 with lightweight warbon composite pedal bodies. Includes cleats. - $269.50/pair. MOst "TALON" CARBON HANDLEBAR/STEM - Integrated one piece handlebar stem unit. 46 cm (outside to outside) with 130 mm stem. Glossy clear coat over carbon weave with red and silver accent graphics. Ergo shaped handlebar drops. Never been out of the box - $398.00. PHIL WOOD BOTTOM BRACKETS - Model BRS08S (108 mm stainless steel spindle length with JIS tapers, symmetrical overhang). Includes your choice of Italian or English stainless mounting rings - $94.50/set. FULCRUM RACING 1 WHEELSET - Shimano/Sram compatible freehub. $889.00/pair. STELLA AZZURRA CARBON AERO ROAD WHEELS - "Stella Maris" four spoke aero wheelset. All carbon construction (no aluminum rim). For tubular tires only. DT Swiss 240 hub internals(axles, bearings, freehub). 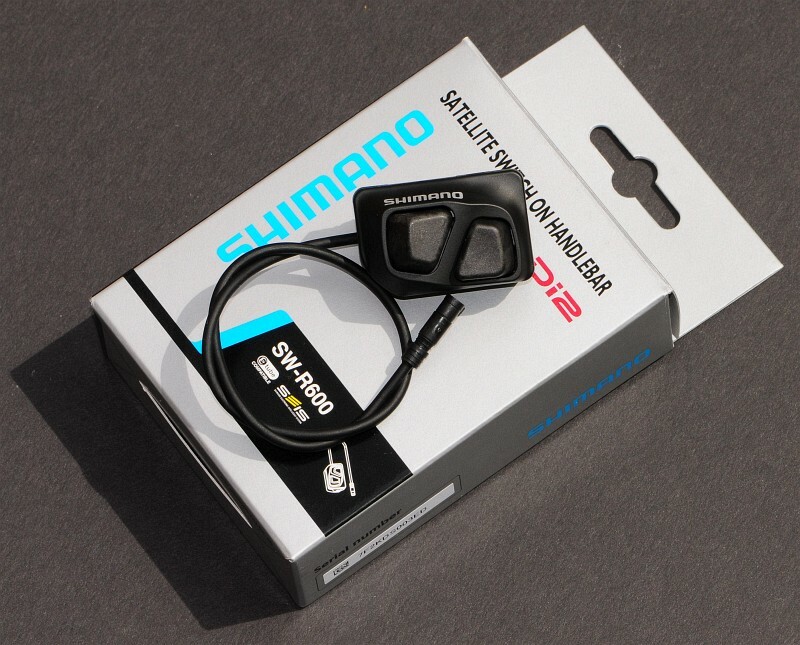 Compatible with Shimano/Sram 9 and 10 speed cassettes - $2149.00/pair. STRONGLIGHT BOTTOM BRACKETS - Model JP 400. Sealed bearings; 107 mm spindle (JIS type square taper); English threading. - $19.50 each. NOKON ROAD BIKE BRAKE CABLE SETS - Stainless cables and black anodized alloy housing segments. - $43.50/set. Blue anodized finish. 48 teeth. - $87.50 each. SPECIALITES TA - Eleven speed "Horus" model chainrings. 53/39 set. Grey anodized finish. - $146.50/set. 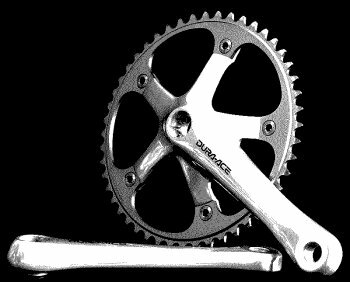 CAMPAGNOLO - Centaur 10-speed (2009) 53/39 set. "Take-offs" from new alloy crank. Satin silver anodized. - $96.50/set. CAMPAGNOLO - Athena 11-speed (2010) 53/39 set. "Take-offs" from new alloy crank. Silver anodized. - $157.50/set. CAMPAGNOLO - Athena 11-speed (2010) 53/39 set. "Take-offs" from new carbon crank. Grey anodized. - $186.50/set. YOSHIDA "CHAMP" TRACK HANDLEBAR GRIPS - 160 mm long keirin-style rubber bar grips. - $13.50/pair. VINTAGE SHIMANO "TEN PITCH" TRACK CHAINRINGS - New, old stock 48t chainrings exclusively for Shimano's vintage proprietary 10 mm. pitch track drivetrain. - $83.50. Didn't see anything you need? Check back again soon, this page changes frequently. There are users currently viewing this page. If you want something, act now!